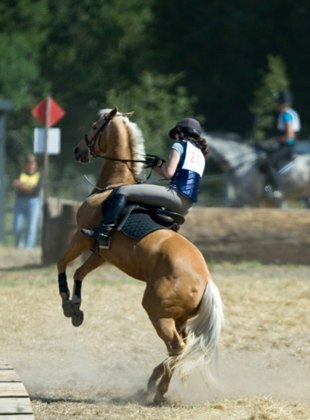 Horses today are subjected to stresses and strains for which they were not designed. The evolution of the horse spine has not adapted sufficiently, it lending itself to weakness and abnormalities. If these weaknesses are not detected, the horse will inevitably compensate which over time can cause a breakdown within the body,. These present themselves as a physical trauma to a muscle, tendon or ligament. Myofascia therapy can help. When injury and stress to the body occurs the fascia hardens, grows less flexible and becomes less porous. The hardening of the fascia restricts the flow of fluid, inhibits neural messages into and out of the muscle as well as reducing elasticity. Tight, hard fascia can lead to a build up of lactic acid within the muscle tissue, which is known to result in inflammation, pain, muscle spasm and possible oedemas. This is generally seen as restricted movement in the horse. Muscles in spasm can result in structural problems as the spasms have the ability to pull the skeleton out of alignment or cause a tear in the soft tissue. By activation the nervous system myofascia therapy addresses every system in the horses’ body by releasing the tense fascia and helping bring about state of balance (homeostasis). Allowing the body to reprogram areas in trauma to their natural state of being. As we know it is the nervous system that has shut down the effected area due to pain and discomfort. Regular treatments can help reduce the risk of injury and aid in preventing injury. work better on one rein than the other? strikes off on the wrong leg, changes leg in canter regularly or bucks in canter? set its jaw, snatches at the rein or grab at the bit? regularly misbehave, spooky or evades your request? carry his tail to one side or tilt his head to one side? 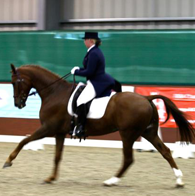 have a stiff the neck, refuses to bend or flex, unwilling to engage from behind when ridden? have poor balance, trips or stubbles regularly? fall in or out of a circle? knock poles down or twists over fence?